The legendary Canadian singer is about to embark on a five-date greatest hits India tour starting today. Bryan Adams is back in India, and it looks like he’s as excited to be here as we are. Starting off his The Ultimate Tour by ENIL in Ahmedabad today, we can definitely look forward to his most exciting live show yet. Are you set to experience universal hits like hits ‘Run To You’, ‘Can’t Stop This Thing We Started’, ‘Summer of ’69’, ‘Cuts Like A Knife’, ‘Heaven’, ‘When You’re Gone’ , ‘Cloud Number Nine’, ‘Everything I Do I Do It For You’, ‘Have You Ever Really Loved a Woman’, ’18 till I die’ as well as Ultimate Love and Please Stay? Then book your tickets right here. 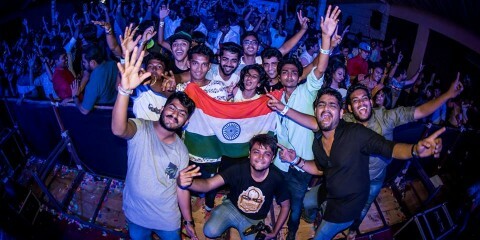 The Sherp: We’re so happy to have you back in India! What is it about the country that brings you back for more? Bryan Adams: It’s always an adventure to be in India. On my first trip to India, there were no cars to collect us, so Keith my guitarist and I got into a taxi from the airport. The suspension was broken in the car so we leaned over the seat to watch where we were going. Along the way, we had to stop because an elephant had gone to sleep in the middle of the road. That story would not happen anywhere else in the world, welcome to India. 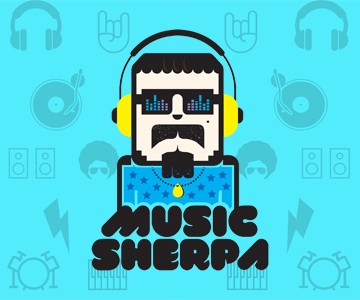 The Sherp: Your songs are so memorable that people end up singing along every time; something which is really rare with artists these days. What is the secret to this success? Bryan Adams: As long as people are interested in the music, I’ll continue to create and perform. Motivation is easy, time to do everything is the difficult bit. There’s just not enough time! The Sherp: Tell us about the ‘Ultimate’ album and the Ultimate Tour, which happens to be your 19th concert tour. Bryan Adams: It’s called the Ultimate tour because of the album we released last December called ULTIMATE. It’s a collection of songs which truly represent the live show, even the arrangements on some of the songs in this collection are slightly different. The tour itself, as I said earlier, took a lot of work to put together, its literally taken two years. 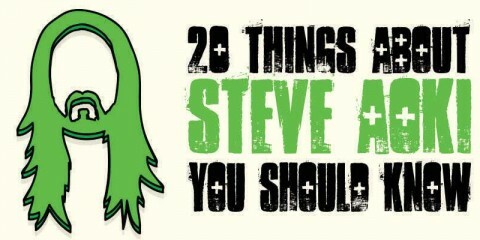 The Sherp: If you were somebody who had never heard of Bryan Adams or his songs, what is the first song you would recommend them to listen to? And why? Bryan Adams: I’ve never have had that conversation, but if I did I would direct them to the Ultimate CD we released last year. The Sherp: A parting message to the thousands of fans who are waiting for your arrival to the subcontinent. Bryan Adams: I’m really looking forward to the gigs; we’ve always loved playing there. We’ll be playing all the songs you know and love, and have possibly heard. Come and see the show! The Ultimate Tour begins today, so get booking. Tickets available on BookMyShow right here.